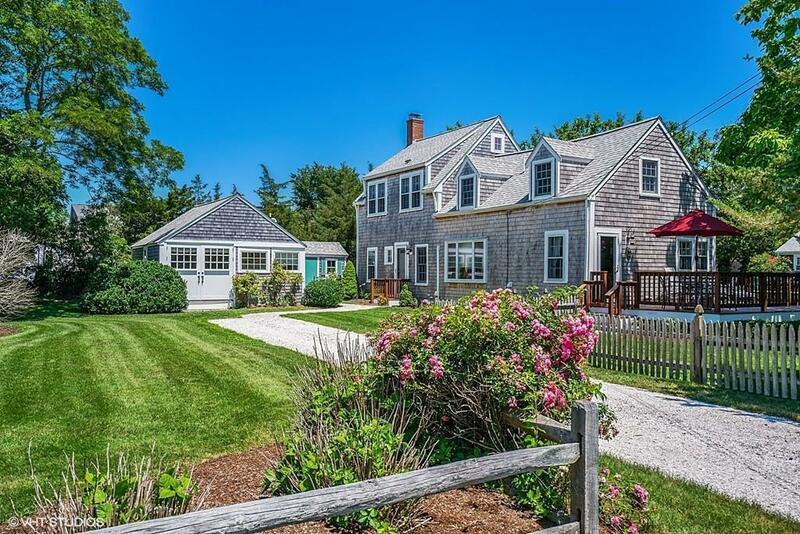 Deeded Beach Rights to private Barnstable Harbor beach just 0.1 mile from house. This home was built in 1920 and renovated in 2005 and 2006. The home retains the charm and character of yesterday but has the amenities and upgrades that you expect in a Beach House for todays life style. Living room with large wood burning fireplace. Sunny home office. Kitchen and Dining Room for elegant or casual entertainment. Large master suite on 2nd floor and guest bedroom with half bath. Guest cottage with private bathroom. New high efficiency tankless gas hot water on demand and AC. Professional landscaping and irrigation, wood deck and partially fenced in yard. Listing courtesy of Eleanor Claus of Kinlin Grover Real Estate. Listing provided courtesy of Eleanor Claus of Kinlin Grover Real Estate.